Overnight flight from North America to Israel. leisure to explore on your own, or opt to rest to get you’re your body adjusted to the new time differences. In the evening enjoy a welcome dinner. Dinner & overnight in Tel Aviv. Following a delicious Israeli buffet breakfast, depart Tel Aviv. Drive along the coastal plain to Caesarea, capital of Judea under the Romans. We will visit the excavations of this ancient city, the Roman theatre and aqueduct. Continue to Megiddo, identified as the site of Armageddon; see one of the most important archeological site in Israel, visit the excavations including the well-preserved water supply system. Next to Mt. Carmel (Muchraka) and the beautiful port city of Haifa for a panoramic view of the Bahia Gardens and Haifa Bay. Drive to Acre, capital of the Crusaders for more than a century, to visit the ancient city and harbor. Continue to Galilee – Kibbutz Lavi for dinner & overnight. Drive to Nazareth via Cana of Galilee, the town where Jesus grew to manhood and where he performed his first miracle, the turning of water into wine. Visit the Church of Annunciation, St. Joseph’s workshop and Mary’s well ("The spring of the Virgin Mary" is reputed to be located at the site where the Angel Gabriel appeared to Mary and announced that she would bear the Son of God). Continue to Yardenit, the baptismal site on the Jordan River, where believers celebrate and take the opportunity to submerge themselves near the same waters that Jesus baptized his followers; continue to Beit Shean, a newly excavated city, and visit the Roman theatre. Drive along the Jordan River to Jerusalem. Dinner & overnight in Jerusalem. Today we visit the Old City of Jerusalem. Our appreciation of this Golden City begins with a panoramic view from the Mount of Olives, overlooking the walls of the old city and the ancient Jewish cemetery. Enter the Old City to begin exploring the wonders of Jerusalem. Visit the Garden of Gethsemane, the Church of All Nations, King David’s tomb, and the room of the Last Supper on Mount Zion. Next, we will walk the Cardo, the ancient main street of the Old City of Jerusalem. 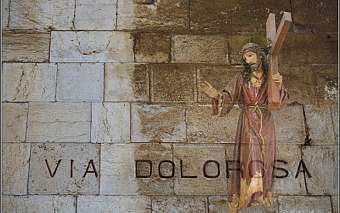 Visit Temple Mount, Western Wall, walk along the Via Dolorosa where Jesus carried his cross, visit Pilate’s Judgment Hall, the Church of the Flagellation, the Church of the Condemnation and Imposition of the Cross, and the Church of the Holy Sepulcher. We will have time to walk through the colorful Arab Bazaar where we can get some souvenirs to bring back home. Last visit will be the Garden Tomb, the site of the burial and resurrection of Jesus. Dinner & overnight in Jerusalem. Today’s program is dedicated to the New City of Jerusalem. 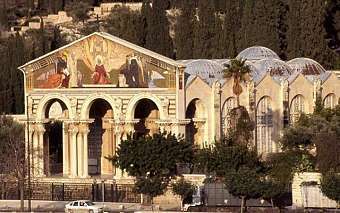 Drive to Ein Karem, the birthplace of John the Baptist, visit the Church of Visitation, it honors the visit paid by the Virgin Mary to her cousin Elizabeth. Visit the Israel museum, shrine of the book, where the Dead Sea scrolls are housed and the miniature model of Jerusalem as it was during the second temple period. Proceed to Yad Vashem, Israel's official memorial to the Jewish victims of the Holocaust, established in 1953. Proceed to Bethlehem and visit the cave revered as the Birthplace of Jesus and see the Church of Nativity constructed over the site. Gaze out over the Shepherd’s Field where an angel appeared to announce the birth of Jesus. Dinner & overnight in Jerusalem. Drive to Qumran, where the Dead Sea scrolls were found in 1947 by a Bedouin boy. Visit the ancient city of Qumran and drive along the shores of the Dead Sea, the lowest place on earth to Masada, the last stronghold of the Jews after the destruction of the second temple in 70 A.D. Ascend Masada by cable car and visit the food storeroom, water irrigation system and Herod’s palace. 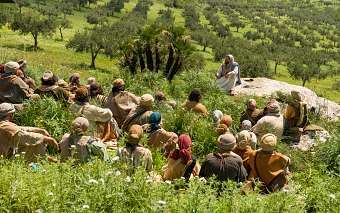 Time and weather permitting, an opportunity will be provided to “float in the salty waters of the Dead Sea”. 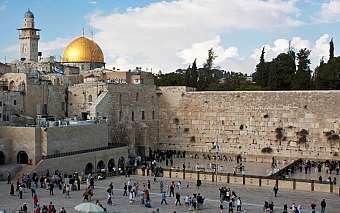 Return to the hotel and enjoy a farewell l dinner & overnight in Jerusalem. Enjoy your breakfast before check-out of the hotel and transfer to the airport for your departure back home. 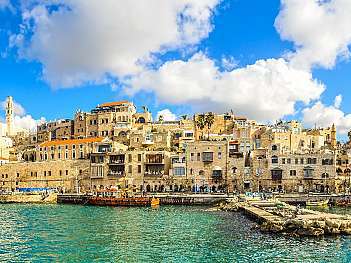 Aboard the transatlantic flight, with time to think about your exciting visit and memories for lifetime, you can start planning your next visit to Israel!